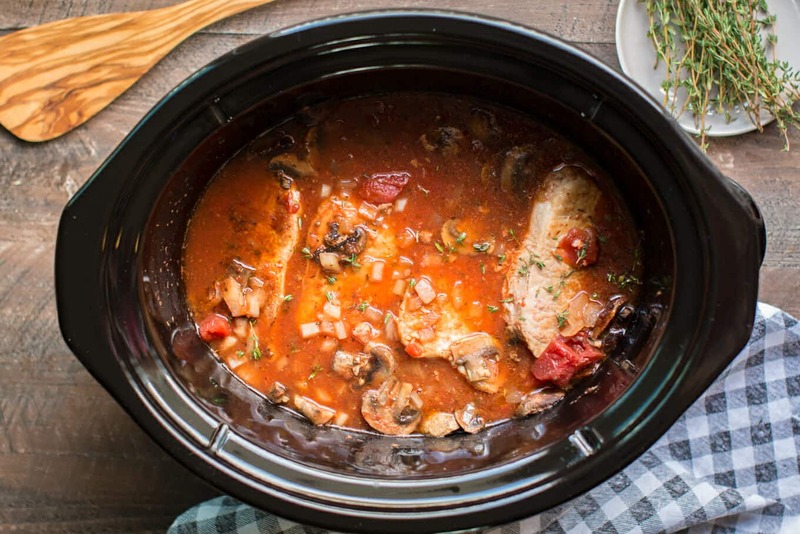 Slow Cooker Pork Chop Cacciatore is a twist on the classic chicken cacciatore recipe! 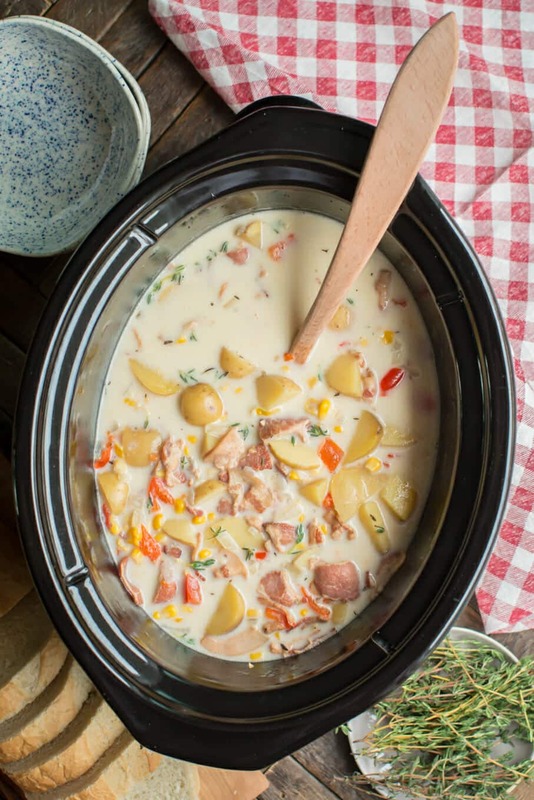 Did you know that you can make caccaitore with pork instead of chicken? I was mind blown when I saw it the other day when I was searching around for recipe ideas. 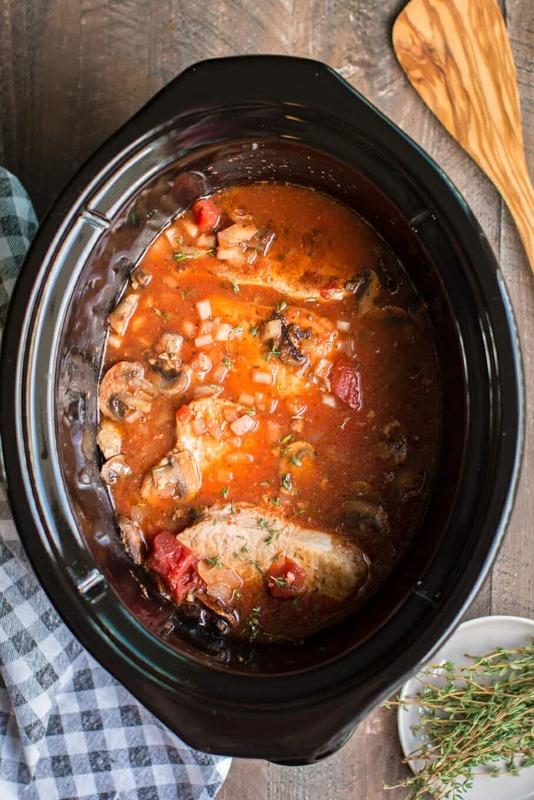 This recipe is based on my classic Slow Cooker Chicken Cacciatore recipe, which I use boneless skinless chicken thighs in that recipe. My recipe is based on my mom’s recipe. I did brown the chops for this recipe, some say browning the meat adds more flavor to the sauce and overall dish. Below is a photo before I slow cooked the recipe. Here is what the pork chop cacciatore looks like after 6 hours on low. 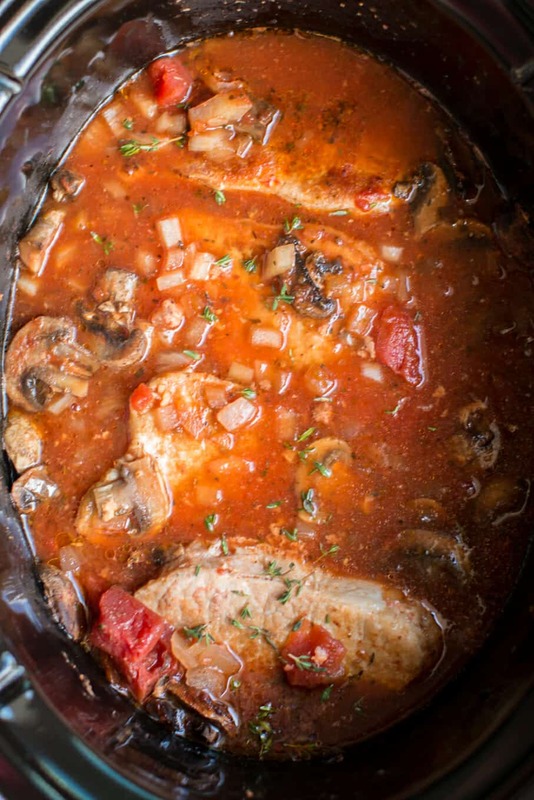 Below is my YouTube video about how to make this Slow Cooker Pork Chop Cacciatore. You can follow me on YouTube, here and be the first to see my latest videos. This pork and sauce is great over rice or pasta! Or even on its own with just vegetables. I hope you have a great weekend. I’ll be back next week with more recipes. 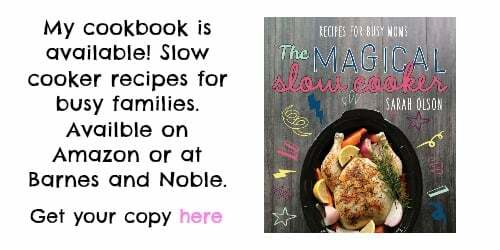 Classic recipe ingredients but with pork chops instead of chicken! Heat a large skillet over medium-high heat. Add the cooking oil. 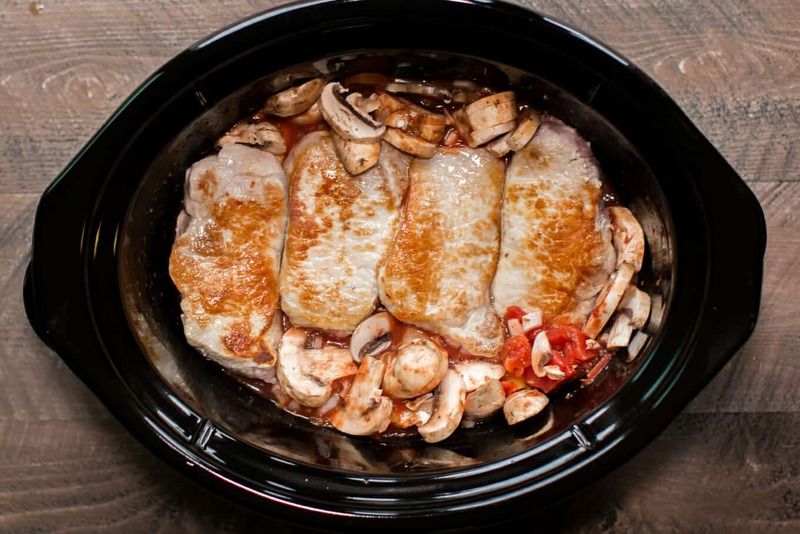 Add the pork chops to the pan and brown on both sides, no need to cook all the way through, the slow cooker will do that. Set aside while you make the sauce. Add the diced tomatoes, tomato paste, chicken broth, garlic, salt, pepper, thyme and oregano to the slow cooker. Stir until the tomato paste dissolves into the diced tomato juice. Add the onion and mushrooms, stir again. Add the pork chops into the sauce. Nutritional values do not include rice or pasta. These values are approximate, please use your own calculations if you require a special diet. 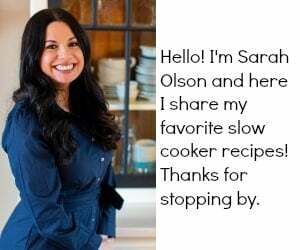 Sarah, you are indeed the Master of slow cookery (or is Mistress a more correct title?). 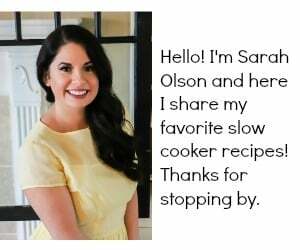 Not only are your recipes superior, but your instruction leave no doubt in our minds. For example, your little hint about how long to brown a chop, and let the cooker do the rest. Thanks, Sarah; don’t ever change. Thanks, Richard. I sometimes wonder if anyone even cares about my recipes and then someone very kind like you comes along. Have a great day. The Pork Chop Cacciatore sounds wonderful. Don’t get discouraged. 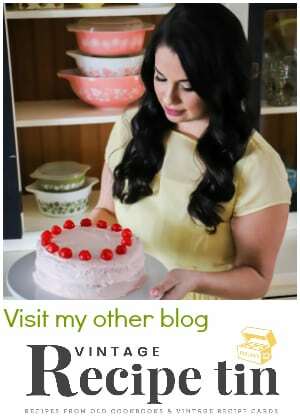 Do you have any recipes that are gluten free?